if you’ve noticed some water stains, mold, or even the dreaded drip-drip of a leak, it can be hard to pin point the cause. With the many layers and individual pieces that make up a roof, leaks can happen anywhere. However, there are a few main causes of leaks you can check first. Skylights can fail in many ways and are a major cause of leaking. Not only can the window seals fail, but they can block the flow of water off the roof, causing it to pool. The flashing, or what connects the skylight to the roof, can also be faulty and allow water in. Flashing is usually a thin piece of metal that is used to waterproof where two pieces of roof come together, or where a chimney, skylight, or pipe joins the roof. However, they are subject to weather damage and wind. They can also slide out of place over time, failing to protect vulnerable connections from water. Debris on your roof or in your gutters seems harmless, but is another cause of leaks. Debris, like branches and leaves, can cause water to pool around them, and soak into your roof. Debris in your gutters can also direct water to drain sideways allowing water to penetrate under slates and tiles. Damaged slates and tiles are generally the last reason your roof is leaking. However, especially old, cu, missing, or broken slates and tiles stop protecting your home from water. Walk around your house with some binoculars and make sure all your slates and tiles are there, flat, and intact. Sometimes, just the age of your roof can cause leaks. Older roofing materials can develop cracks, bubbles, tears, and shrinkage. And the longer you have your roof, the faster they deteriorate. If you roof is over 20 years old, or if you have leaks, it might be time to replace. Finally, all it takes to create a leak is a single uncovered nail. All nails and nail holes should be covered in waterproofing material such as roofing cement. When doing maintenance on your roof, pay attention to how well the nails are covered as much as you can. There are many other reasons your roof can leak, such as an improper roof slope. Because roofs leak in so many ways, be sure to call samuels industrial roofing experts for advice. Modern metal roofing systems offer a lightweight, easy to install and cost-effective method of construction that consistently delivers a watertight and airtight solution. some of the benefits of installing metal roofing systems. Steel and aluminium roofing Systems contribute significantly to the sustainable design concept thanks to their high recycled content, energy efficiency, low maintenance, durability and recyclability which have all helped to establish steel and aluminium as the materials of choice for both new and refurbishment roof projects. buildings can be rapidly constructed using metal-based primary and secondary components that are manufactured off-site and therefore are dimensionally accurate and of known quality. 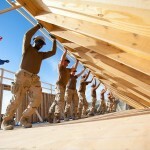 Speed of construction also means that buildings are completed earlier, enabling building owners to achieve a faster rate of return on their investment.Roofing systems provide the scope, in association with other materials, to design buildings with low overall environmental impacts and have much to offer in the areas of green technology and sustainability. For example green roofing systems that can improve the thermal performance of a building by providing protection against heat loss in the winter and heat gain in the summer. Sheet systems coated with highly reflective surfaces and designed with insulation and ventilation can provide considerable cost savings for heating and cooling. Innovative cool roof coatings for roofs are now available which have moderate to highly reflective surfaces over a range of colours and some engineered coatings can increase the emissivity of the roof surface to allow solar energy and heat to dissipate quickly. Metal roofing has been used successfully for many years on industrial and commercial buildings but the demands put on it by modern architecture and sustainability requirements have set new challenges. Thermal performance and airtightness of buildings have become increasingly important as the regulatory authorities focus on reducing energy consumption and associated greenhouse emissions. 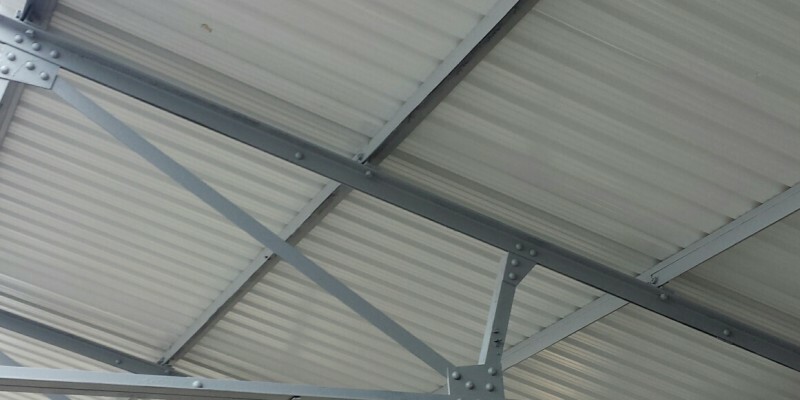 The widely adopted systems approach also ensures that performance criteria is known factor at the design stage and is reflected in the finished and installed construction.Correctly specified metal cladding and roofing systems competently installed will provide high levels of thermal performance and achieve consistently good air tightness which outperforms regulatory standards. When designing a roof to resist local environmental conditions, it is essential to take account of the prevailing exposure conditions so that the appropriate methods of construction can be implemented. Weather tightness is a must have for any building and small changes in design such as the pitch of the roof, the length and method of sealing of the end laps and side laps all help with finished performance.In addition the number of secondary fixings can be increased; wider troughs can be used to assist in shedding water, and end laps eliminated or reduced by using longer lengths of sheeting. Further guidance is available in MCRMA guidance document, The effective sealing of end lap details in metal roofing constructions. Metal roof cladding is designed and manufactured to give many years of reliable service, and will do so provided that a managed inspection and maintenance programme is followed. Roof sheeting, together with other component parts should be inspected for local damage and repaired in accordance with the agreed and documented maintenance schedule. 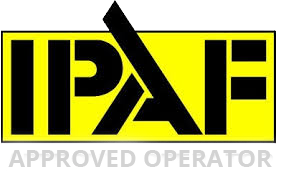 It is important to note that any maintenance programme must minimise the need to gain access to the roof covering and should only be conducted by fully trained operatives using appropriate safety equipment. Parishioners at St John of the Cross Roman Catholic Church in Aylsham, are counting their blessings after a fire yesterday reduced a shed to ash, but a new fire resistant roof prevented it from spreading further into the adjoining church. Four fire crews tackled the early morning blaze on January 18 at Gashouse Hill and managed to control the flames. The 1960s building was left with a burnt hole in a section of its roof, a smashed window, plus smoke and water damage. Parish priest, Rev James Walsh, said: “Thanks to the local Fire Service any major damage was averted. The new fire-resistant roof also prevented a major catastrophe. Church members Peter and Wendy Adamson were among the first on the scene. Peter told the North Norfolk News: “The fire brigade said that if the old roof had still been on, there would probably be nothing left. The church, which has an average congregation of 70, will be open as usual for Friday morning mass. It is one of the three churches that make up the parish of North Walsham. Our insured and licensed roofing contractors will perform a full damage assessment on your roof. Next our insurance claims specialist will work with your insurance company, acting as your advocate and protecting your interests to ensure you get paid for the full amount of the damage. We can also meet with your insurance adjuster (at no cost to you) at your home to go over our inspection with them. When the claims process is complete, our experienced team of roofing professionals will replace your roof, so you can get back to the things that matter most. This is all done at no cost to you. We’ll provide the necessary documents and diagrams detailing your roof damage, showing them the extent of damage. When it comes to storm damage, we know how to help you get the most for your new roof. Here’s the bottom line: if you suffer a loss, your insurance carrier is going to send a representative to evaluate your loss. Doesn’t it just make good sense to have a quality, trained roofing specialist, who knows the laws, knows what legitimate damage a carrier owes for, and is there representing you? You wouldn’t go to court without an solicitor why go through a claims process without representation? Both are legal situations, and both have real and tangible consequences if not properly handled. This is exactly how Samuels industrial Roofing Solutions can help you. From the very beginning of the insurance claims process to day we complete the work on your roof, we will always be available available to answer any questions you or your insurance company may have during the project. We’ll make sure that you have all of the paperwork you need before we leave, and you are always welcome to contact our team with questions or concerns, even after our roofing contractors have completed your new roof. The product comprises suitably graded limestone aggregates bound together with an asphaltic cement (primarily refined bitumens) to produce a dense, voidless material. It cannot be compacted, and is spread by means of a hand float, rather than rolled. Today’s modern mastic asphalt contains highly advanced polymer formulations, pioneered by manufacturers like Permanite in the 1980s.High performance felts offer a wide range of systems to suit both new and refurbishment projects, and have improved greatly over the years with advances in new product development. They are suited to most roof designs from flat, pitched or barrel vaulted through to vertical surfaces. 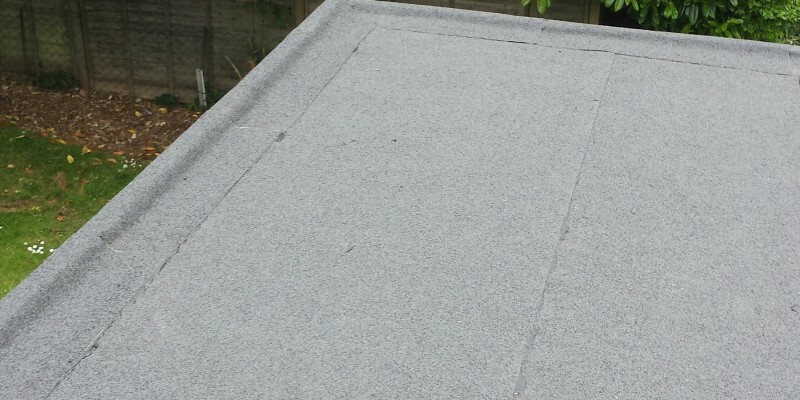 High performance felts can be used for most waterproofing applications including flat, low pitched and barrelled roofs, terraces, planters and underneath green or brown roofs. High performance felt roofing systems can be installed as a warm, cold or inverted roof application using the traditional roll and pour method as well as heat activated, cold applied or self-adhesive systems. Today’s high performance systems are capable of coping with the movement in modern buildings and are resistant to puncturing. Cap sheet finishes are available in various colours and can be designed for appearance, as well as being hard wearing and tear resistant. All the systems we use have a manufacturer’s warranty and can be upgraded for insurance purposes from 10 years to 15, 20 or 25 years. We have a full range of high performance range of liquid applied roofing, cladding and balcony waterproofing systems. 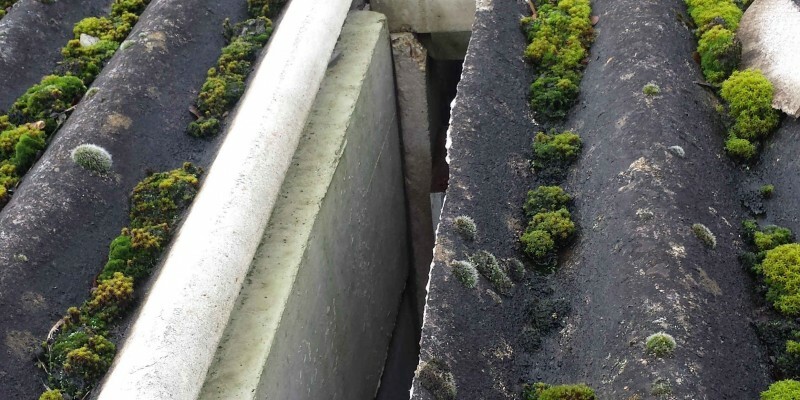 Polymer waterproofing systems are extremely versatile, completely cold applied and can be specified to match the longevity of your project through a range of build-up options. Polimar is part of our cold applied portfolio. Cold applied systems meet the demand for specifications offering higher resistance to fire and spread of flames.The Polymer waterproofing roofing range has been specifically developed to provide short and long term waterproofing for both new build and refurbishment projects. Polymer waterproofing provides a flexible, high performance UV resistant coating that forms a seamless waterproofing barrier. High levels of strength make Polimar the obvious choice for areas with difficult access and intricate detailing requirements.Ancillary items are important to ensure the project is completed to the highest standard with the necessary priming, reinforcement, vapour control, insulation and rooflights. In addition the project site needs to have safety measures such as handrails and walkways where applicable. Inspect the roof surface and roof drains on a regular schedule to find and clear away any debris clogging the drains; just how often this is needed depends on local condition such as the rate at which debris accumulates on the roof. Roof leaks – leaving standing water on a roof not designed for that condition invites roof leaks and failure both from the continued presence of water and in freezing climates, from further damage to the roof covering from freeze-thaw cycles. Building interior flooding also is more likely when a roof drain pipe passes through the building interior rather than outside the structure; a freeze-up or clog followed by freeze-up of the roof drain segment that is at or close to the roof top leads to leaky or burst drains and building damage. Tenants risk exposure to thousands of pounds worth of repairs if they do not seek adequate protection offered by a Schedule of Condition. Simply put, a repairing liability is a feature in most leases and Full Internal Repairing and Insuring Leases are commonplace, which in turn can mean that when the time comes for a property to be vacated, it must be in at least equal if not better shape than when it was first let to the tenant. That can leave tenants exposed to the liability of extensive roof repairs for example, yet it is an aspect of letting that all too many are unaware of until it is too late. By providing our clients with a comprehensive Schedule detailing the Condition of all the elements of the premises, that exposure is mitigated. A Schedule of Dilapidations is a complex area and again, both landlords and tenants can be at risk of tens of thousands of pounds of repairs unless due care is taken. Landlords can find that the value of their asset is jeopardised should a tenant neglect an issue that impacts on the fabric and structure of a building. However, tenants have to be warned in advance of any neglect and that is where we can help. A schedule of dilapidations should prevent the issue from developing but if neglect does arise, the schedule can assist with any necessary financial claim. Likewise, it can be the case that tenants are presented with large dilapidations claims by a landlord during a lease term. Again, we are on hand to make an independent assessment of the scope of the work and obligations involved and we have saved our clients many thousands of pounds at the point where they need to undertake repair work.